Rachel has been working in media and advertising for three years, focusing primarily on digital media in the programmatic space. 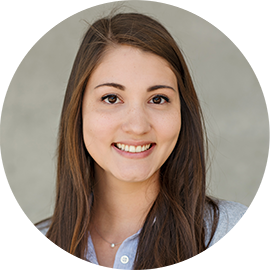 Rachel has built and implemented numerous local, national and international digital campaigns for agencies and advertisers including the University of California-Irvine, the University of Southern California, and the Anaheim Ducks. Cannot live without: Sushi, coffee, trashy reality TV. Sunday afternoon: Taking a hike with my husband & pup! If not in media, I’d be: a chef and restaurant owner.